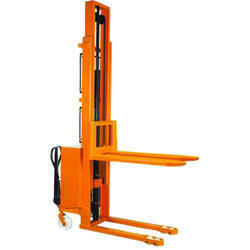 Our product range includes a wide range of Material Handling System such asMaterial Handling System, Hydraulic Lift, Lifting Table, Lifting Machine, Scissor Lift, Lifting Machines, Industrial Lifting Tables, Electric Pallet Trucks, Material Handling Equipment, Material Handling Systems, Scissor Lift Table, Hydraulic Lifting Table, Handling Equipment, Goods Lifts, Lift Trolley, Handling Equipments, Handling Equipment, Lift Trolley, Material Handling Equipment, Trolley, Electric Pallet Trucks, Handling Equipments, Material Handling Systems, Hydraulic Craneand many more itemsIN Naroda G.I.D.C., Ahmedabad, Gujarat, India..
We provide Hydraulic Pallet Stacker that is appreciated by our clients for its reliability and safe operation. It saves immensely on power consumption as it requires electricity only at the time of going up. Not requiring any head room or pit, one can come down manually, in case of any power failure. 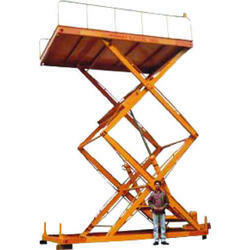 We provide a comprehensive range of Lifting Machine that is used in various industries such as automobile industries, construction industry and textile industry. 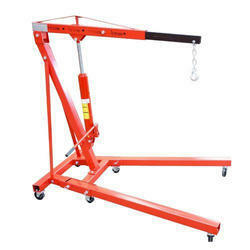 These are suitable of all sorts of operations including pulling, lifting and lowering. Our range of pulling and lifting machines is widely appreciated for its attributes such as portability, rugged construction, operational efficiency and efficacy to tackle heavy loads.